Journalists And Lawyers Are Pulled Over For Questioning By Border Agents At the San Diego-Tijuana border, journalists covering the asylum-seekers are being pulled into questioning by customs and border agents. Lawyers and volunteers are facing the same scrutiny. A young man and a little girl look at the border fence from Playas de Tijuana, Mexico. Photojournalist Ariana Drehsler has been covering the caravan of migrants for weeks. In December, Customs and Border Protection agents began pulling her over for questioning each time she crossed back into the U.S.
For months, photojournalist Ariana Drehsler had been crossing the border between her home in San Diego and the Mexican city of Tijuana without incident. Drehsler was photographing asylum-seekers who had traveled to Tijuana, and she had never once been questioned by border officials for longer than a minute while re-entering the United States. But beginning in December, every time she crossed back into the U.S. she was pulled into secondary for questioning. Agents asked her about events taking place in Tijuana and the people working with asylum-seekers. Two agents told Drehsler that they wanted her to answer questions for them because she was "on the ground," while they weren't. "They wanted to know who I was working for and what I was seeing," Drehsler told NPR. "They focused on the shelters, and people crossing illegally." During one of the stops, Drehsler was separated from her camera. She doesn't know if CBP went through it, but she was made uncomfortable by the position the agents were putting her in. "That's not part of my job, to keep getting stopped by these guys and doing their homework for them," she said. Drehsler's photo of a dozen migrants who decided to jump the border fence that divides the United States and Mexico in December. Drehsler and other journalists are facing increased scrutiny when they cross the border. Drehsler is just one of dozens of journalists, volunteers and lawyers who have been interrogated by CBP at the San Diego border over the past several weeks, part of a trend that civil rights groups have deemed "alarming." 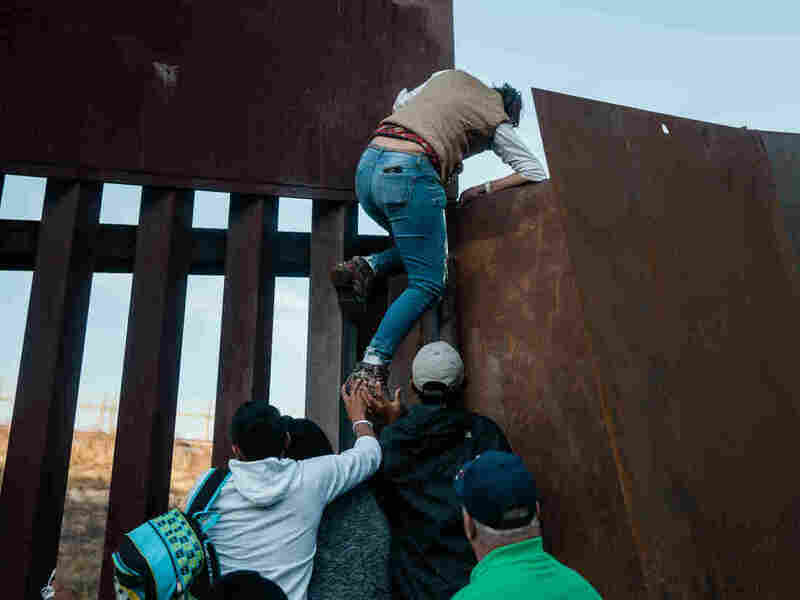 Other journalists stopped at the border have said that agents have shown them photo lineups of individuals, asking them to help identify activists and other organizers the agents described as "instigating" asylum-seekers. That's not part of my job, to keep getting stopped by these guys and doing their homework for them. Last November, the Committee to Protect Journalists published an urgent report about increasing incidents of CBP agents searching journalists' electronic devices and questioning them about their reporting and their sources. The committee has been in touch with several of the journalists who have been stopped and interrogated by CBP. "The ability for journalists to protect their sources, the ability for them to protect information they gather in the course of their reporting, the ability for them to be seen as independent of law enforcement and not just another intelligence arm of the government, is so central to what journalism is," said Alexandra Ellerbeck, the organization's North America program coordinator. Kitra Cahana, an American-Canadian photojournalist who has been covering the migration of refugees from Central America, has repeatedly been denied entrance to Mexico in recent weeks. Cahana had crossed back and forth across the border without incident before she was turned back after flying to Mexico City from Detroit on Jan. 17. 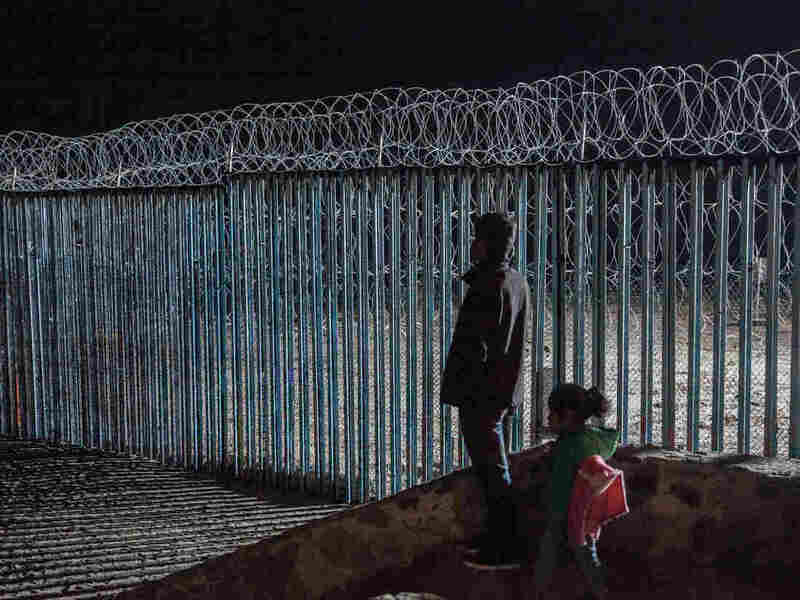 "For me, this is a question of freedom of the press and our ability as the press to cover important stories like the migrant caravan," Cahana said. "And I, along with other journalists, are effectively no longer able to cover the story of the migrant caravan." In addition to journalists, volunteers working with asylum-seekers and lawyers who advise asylum-seekers on their rights are also becoming increasingly wary of CBP searches. One attorney working with asylum-seekers in Tijuana told NPR that last month, agents went through sensitive legal documents she was carrying. She asked to remain anonymous as her organization continues to work in Tijuana. "[The agent] asked me if I was interviewing people, and then he asked me what I did for a living. I said I was a lawyer, and he then began reading through my papers," she said. Immigration lawyers are now particularly concerned about their clients' privacy, after the recent implementation of the Migrant Protection Protocols, a policy that aims to keep asylum-seekers in Mexico as their claim is processed. To meet with clients, American lawyers now have to travel to Tijuana, crossing the border and possibly exposing sensitive documents to CBP agents. "Attorney-client privilege is huge and if they have the right to go through our laptops, through our phones, if I take a case file with me, and they want to make a copy of everything, that's definitely breaking attorney-client privilege," said Maria Chavez, an immigration lawyer based in San Diego. The Department of Homeland Security has said that lawyers will still be able to meet with their clients but has not detailed how or when. The first hearings for asylum-seekers returned to Mexico under MPP have not yet happened. At the same time that screenings of journalists and lawyers have ramped up, several lawyers have been barred from entering the country by Mexican authorities because of new alerts placed on their passports. Mexican officials have told the lawyers the alerts come from U.S. authorities. Two lawyers from the Tijuana-based organization Al Otro Lado, which plays a central role in helping asylum-seekers navigate the U.S. immigration system, have been denied entry into Mexico in recent weeks. Nicole Ramos, a U.S. citizen and lawyer with Al Otro Lado, had her expedited border crossing card confiscated by U.S. authorities last month and has since stayed in Mexico. "It's the epitome of dramatic irony that the U.S. government is telling asylum-seekers that U.S. attorneys are going to come and handle their cases, but when you have some of the principal attorneys who handle refugees' issues on the border attempting to access Mexico, there are alerts placed on our passports which are causing Mexican officials to deny us entry or deport us," Ramos told NPR. The ACLU and other organizations, including Al Otro Lado, filed a lawsuit against the Department of Homeland Security on Thursday, aiming to stop the rollout of MPP. Several members of Congress have begun to investigate CBP's questioning practices. Sen. Ron Wyden's office says the senator has reached out to CBP with questions about its scrutiny of reporters and activists at the border. CBP declined repeated requests for comment about specific cases where journalists and lawyers have been barred from entering Mexico.